Welcome to September, everyone! 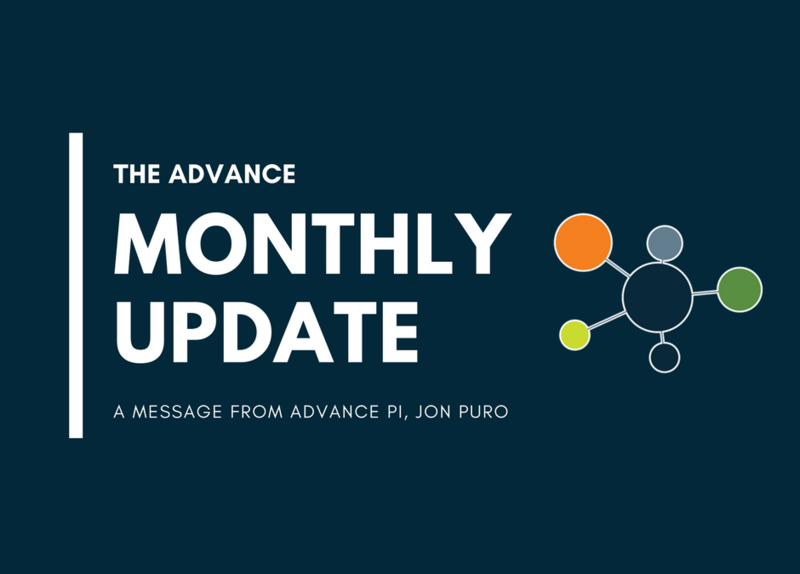 August was another busy month, and we greatly appreciate your continued support for the ADVANCE Collaborative. As you know, last month we held our third annual ADVANCE Retreat in the beautiful Columbia River Gorge. Thank you to everyone who joined us this year. It was an incredibly productive gathering and a wonderful opportunity to come together to discuss the future of our network. As discussions with PCRF regarding the next phase of PCORnet continue, we will be sure to keep our partners posted on developments as we move forward. The retreat has been especially helpful in guiding the application for a fourth year of our Health Disparities CRG. The next phase of the CRG will be led by Dr. John Heintzman from ADVANCE, and Dr. Melanie Canterberry from REACHnet. Thank you to Rebecca Block and William Pinnock for supporting the application over the last few weeks. Looking ahead, we are excited to kick off our third Grand Rounds series on Friday, September 21st. Dr. Sabrina Natoff-Stepp, Christina Lachance, and Jane Segebrecht presenting on HRSA’s national strategy to address intimate partner violence. Registration for the event is now open and can be completed here. Finally, our PEP co-coordinators, Nikki Stover and Tiffany Prescott are preparing for our tri-annual PEP meeting scheduled for Wednesday, October 17th. The PEP is open to all patients who are willing to discuss their experiences, perspectives, and thoughts they relate to health research topics. You do not need to have experience serving as patient advisor or investigator to join the PEP. If you or someone you know is interested in joining the PEP, please email our PEP Coordinators at PEP@ochin.org for more information. We hope you are enjoying the last few breaths of summer. We’re expecting a busy fall season and look forward to sharing more next month.